Today’s blog was supposed to be about the film Stir of Echoes. 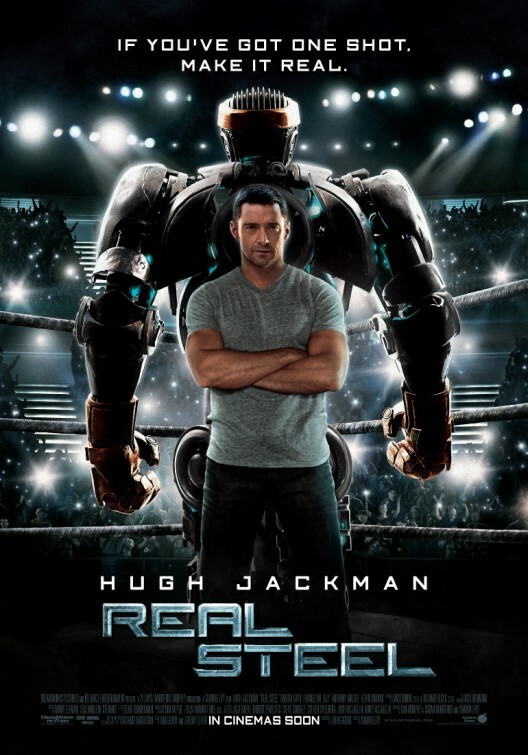 This movie is based on a novel written by one of the brightest lights in fantasy/horror fiction, and that light went out last year. 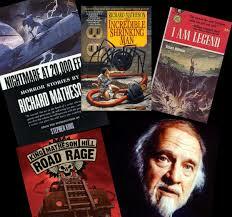 I’d like to spend this blog talking about my experiences with the great Richard Matheson (1926-2013). 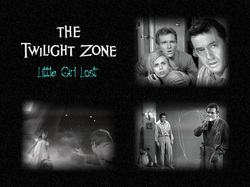 I was a big fan of his work long before I knew his name, and the work that first drew me in was a frightening episode of The Twilight Zone (1962) “Little Girl Lost” about a little girl (yeah, duh) who slips into a 4th dimension through the wall next to her bed. I saw it in reruns when I was a child and it scared the crap out of me. I remember because my bad was pushed against a wall and I was afraid to roll over during the night. 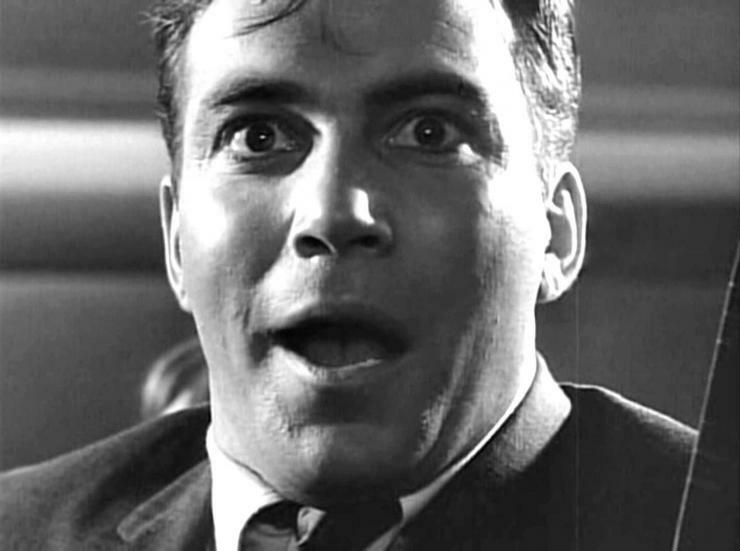 He also wrote the famous “Nightmare at 20,000 Feet” episode where William Shatner is sure he sees a gremlin on the wing of the plane. But still I had no name to put with all this. Then came “Ride the Nightmare” in 62. Again I saw it in reruns of The Alfred Hitchcock Hour. It showed a husband and wife who had been together over 9 years and the woman had no idea her husband was a fugitive from the law. That made me wonder if my parents kept secrets or had double lives. 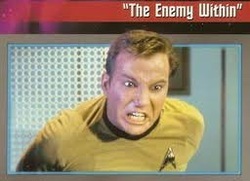 The came “The Enemy Within.” A Star Trek episode in 1966 that gave us a split Captain Kirk, a good one and an evil one. That also fascinated me. It made me start to wonder if everyone had a good side and an evil side and if that were so, that meant so did I and so did my parents and so did, my brother and sister…well, I kind of already knew about my brother and sister! All of these memorable TV shows were challenging me to rethink my own realities. That was Matheson’s genius. He wrote scary stuff that was rooted in the real. 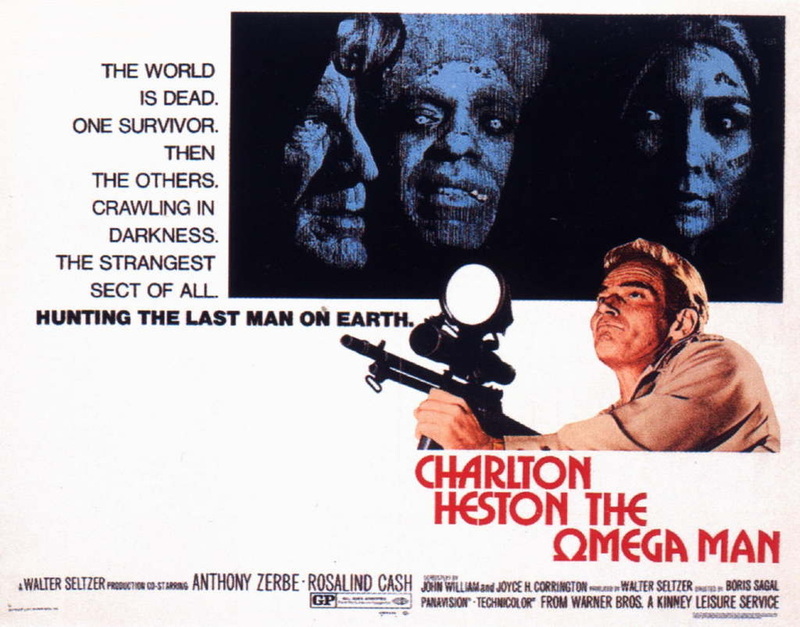 He wrote some sci-fi as well, but it was always the sci-fi world that was close to our own. His horror was that of The Night Stalker. 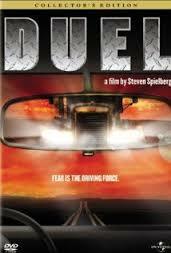 His action as that of Duel, a TV movie (Steven Spielberg’s first film) based on Matheson’s own short story. And still I didn’t know this guy’s name. 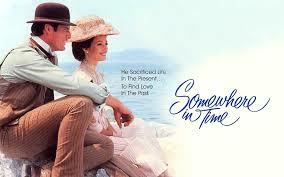 One of my favorite romantic films ever is Somewhere in Time with Christopher Reeve and Jane Seymour, a beautiful love story about a man who falls in love with an old picture of an actress. He becomes so obsessed with her that he manages to travel back in time to meet her. This was based on Matheson’s novel Bid Time Return. I have watched that move about 50 times (no exaggeration) and still I didn’t know his name. 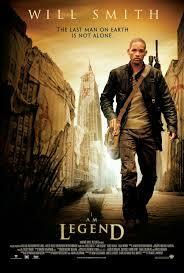 It wasn’t until the film I Am Legend 2007 came out that I noticed the name Richard Matheson and the fact that this was based on his short story of the same name. I then found out this short story had been adapted twice before into film. That fascinated me. 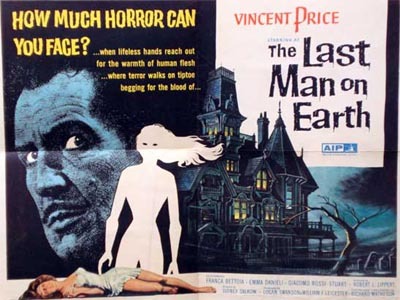 It had been done as The Last Man on Earth in 1964 with Vincent Price and as The Omega Man in 1971. So for the first time I sought out the writer’s story and read it. It blew me away. 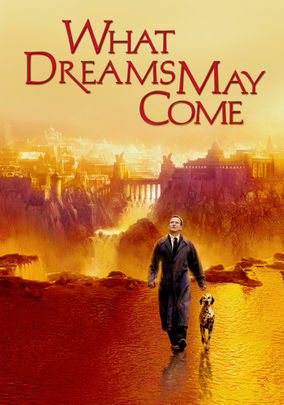 The 2007 film still changed the ending…Matheson’s ending is far too bleak for a Hollywood movie, but it totally is the ONLY ending that works for that story. 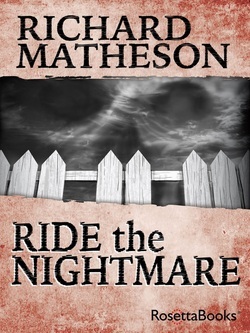 So here’s to you, Mr. Matheson, a writer who inspired Stephen King…a man who adapted Edgar Allan Poe’s House of Usher, Pit and the Pendulum, and The Raven for Roger Corman films. You thrilled us and you chilled us, you made us fall in love and you made us lose sleep worrying about sliding into a 4th dimension. You chased us with huge trucks and you gave us ghosts and a journey through hell. You even gave us Westerns. You are a true American icon of genre fiction and you will always have my respect. One og the greatest American genre writers.